• Alzheimer’s steals my friend. And a bonus article, A Sudan safari. Sorry, this is an old link. Please click here to get to the correct page for Ken’s most recent blogs. • How can we stop this crazy false economy? • The tester’s dilemma: to go on, or give up? • Investing in testing: why it will pay you to kiss a few frogs. • Hey fundraiser, can you spare two minutes to change the way you think? • The emotional brain: effective fundraising is all in the mind. • Changing our public’s perception. • How often should we ask? • Partnerships: is this the Higgs boson of fundraising? • The real meaning of commitment. • F2F: 50 ideas to improve the public’s experience of street fundraising. • The Bata shoes story. • The twin secrets of fundraising success. • How inspirational are your walls? • What’s going wrong with face-to-face? • Welcome to the Happy Bubble. • Reckless opportunism vs the dead hand of risk-aversion. • Why should fundraisers say thank you nicely? 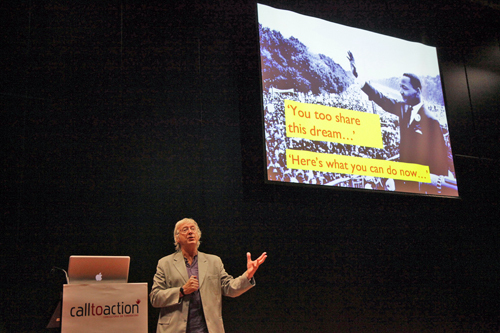 • Reciprocity: why event organisers shouldn’t exploit speakers. • The donor pyramid – really! • 2020 vision: the future of fundraising. • Twitter elite, or Twitter suicide? Ken Burnett’s blogs are free. To review or purchase any of Ken’s books, click here.